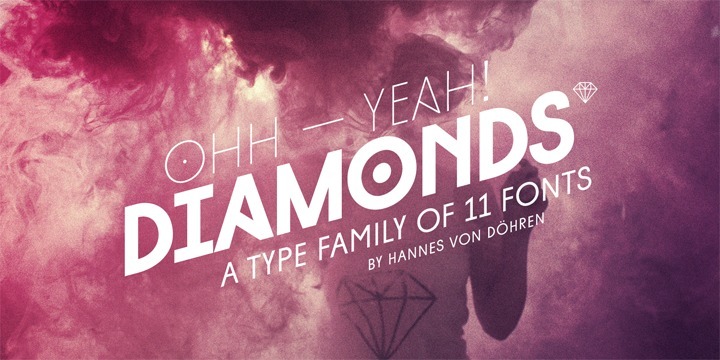 Diamonds is the elite typeface family was structured by Hannes von Döhrenin the year 2012. It can also be defined as an investigational rummage around statistical new letterforms, which are easy to read and successful in creating some unexpected attention. Hannes was initially interested in creating a straight and clear typeface that holds the capacity to pull itself away from the path of classic letter shapes. The type family is known and appreciated widely for its highly complex, professional typography.